Going to need more than 60 Seconds to geek out about this bottle of 2012 Domaine du Grangeon Chatus from the Ardèche. Jancis Robinson notes in Wine Grapes that Chatus is a very old variety that was first mentioned by Olivier de Serres in 1600 as being one of the best wine grapes in the Ardèche. For the next couple centuries, the grape enjoyed widespread planting from the Massif Central to the Drôme, Isère and Savoie. It even found its way across the Alps to the foothills of Piedmont before phylloxera dramatically reduced its numbers. Even after the threat of phylloxera passed with rootstock grafting allowing Vitis vinifera varieties to be reintroduced, Chatus struggled to gain much traction even inside its home territory of the southern Ardèche. By 1958 there were around 371 acres in all of France. However, that number would drop to only 141 acres by 2006. Here is often blended with Syrah. DNA analysis has shown that Chatus likely originated in the Ardèche region where one of its parent grapes may have been the near extinct variety Pougnet. It crossed at some point with Gouais blanc (parent of Aligoté, Chardonnay, Gamay, Melon de Bourgogne and many more varieties) to produce Sérénèze de Voreppe. Outside of France, Chatus is still grown in Piedmont in regions like Pinerolo, Saluzzo and Maira Valley. Here it is often blended with Avanà, Barbera, Neretta Cuneese, Persan and Plasa. DNA profiling showed that the Neiret and Nebbiolo di Dronero growing in the alpine foothills of Piedmont were actually Chatus. In the 1930s, the grape breeder Giovanni Dalmasso at the Istituto Sperimentale per la Viticoltura in Conegliano used what he thought was Nebbiolo as a parent variety in the development of several new grapes. However, the cuttings he used turned out to be Chatus. This makes the grape a parent to several varieties such as Albarossa, Cornarea, Nebbiera, San Michelle and Soprega (with Barbera) as well as Passau, San Martino and Valentino nero (with Dolcetto). Chatus’ confusion with Nebbiolo can also be seen in the type of wines that the small-berried variety produces. Often Chatus wines show ample acidity, high tannins and an affinity for absorbing the flavors of oak. One significant difference between the two varieties is that Chatus tends to produce more deeply colored wines than typical of Nebbiolo. After serving as cellar master for the notable Condrieu producer Georges Verney, Christophe Reynouard returned home in 1998 to take over his family’s estate in the village of Rosières in southern Ardèche. 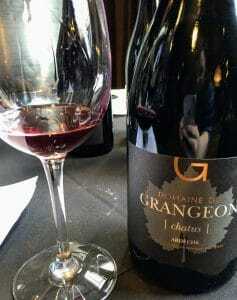 In addition to the very rare Chatus, Domaine du Grangeon also grows Syrah, Cabernet Sauvignon, Merlot, Gamay, Viognier and Chardonnay on their 42 acres of vineyards. The winery farms sustainably with no chemicals used in the vineyard. The grapes for the 2012 Chatus came from the family’s vineyard in Balbiac. After fermentation and malolatic fermentation, the wine spent 24 months in new French oak. Only around 4500 bottles were produced. Medium intensity nose. Spice, lots of spice. The nose has a bit of Syrah-like black pepper spice. Earthy tobacco spice reminiscent of Nebbiolo soon follows. With air, baking oak spice comes out as well. Underneath the spice is a mix of dark berry fruit with some slight floral element. On the palate, the oak takes center stage with round vanilla notes tempering the medium-plus acidity and medium-plus tannins. The dark fruits still carry through but are even harder to pick out on the palate under the oak. The spice notes from the nose also get a bit muted but seem to reemerge for the moderate length finish. At around $25-30, you are certainly paying a premium for the uniqueness of this grape variety and its scarcity. The wine certainly has some character. It would be intriguing to try an example that didn’t have as much overt oak. Tagged Albarossa, Aligote, Ampelography, Ardèche wine, Avanà, Barbera, Cabernet Sauvignon, Chardonnay, Chatus, Condrieu, Cornarea, DNA profiling, Dolcetto, Domaine du Grangeon, French wine, Gamay, Georges Verney, Giovanni Dalmasso, Gouais blanc, Jancis Robinson, Melon de Bourgogne, Merlot, Nebbiera, Nebbiolo, Nebbiolo di Dronero, Neiret, Neretta Cuneese, Olivier de Serres, Passau, Persan, phylloxera, Piedmont wine, Pinerolo, Plasa, Pougnet, San Martino, San Michelle, Savoie wine, Sérénèze de Voreppe, Soprega, Sustainable Viticulture, Syrah, Valentino nero, Viognier, Wine Grapes. Going to need more than 60 seconds to geek out about the 2015 Cave de Genouilly Bourgogne Aligoté. Cave de Genouilly was founded in 1932 as a co-operative of family growers in the Côte Chalonnaise region of southern Burgundy. Today, the co-op includes 90 growers with 180 acres based around the communes of Genouilly, Fley, Bissy-sur-Fley, Saint-Martin-du-Tartre and Saint-Clément-sur-Guye. Many of the growers are second and third generation members of the co-op. In addition to Bourgogne Aligoté, the co-op also produces Crémant de Bourgogne as well as still wines from the AOCs of Rully, Givry and Montagny–including some premier cru. According to Jancis Robinson’s Wine Grapes, Aligoté is an offspring of Pinot and Gouais blanc, making it a full sibling of Chardonnay, Melon de Bourgogne, Gamay and Auxerrois. Robinson speculates that the name Aligoté is derived from the old synonym for Gouais blanc, Gôt. The grape first appeared in written records in 1780 under the synonym ‘Plant de Trois’ which refers to the tendency of Aligoté to produce three clusters per branch. The name Aligoté, itself, appears in the Côte d’Or for the first time in 1807. The grape earned some notoriety after World War II when the mayor of Dijon, Félix Kir, created a cocktail that blended Aligoté with Crème de Cassis. Today that cocktail is known as the Kir and, while it has many derivatives, the classic incarnation still features Aligoté. The classic Kir cocktail of Aligoté with Crème de Cassis paired with gougères, a savory puff pastry made with cheese. Today there is around 4800 acres of the variety planted in France–virtually all in Burgundy. Producers tend to plant Aligoté either at the very bottom or very top of the slope, leaving the prime mid-slope section for the more profitable Chardonnay and Pinot noir. While most plantings are found in the Côte Chalonnaise, particularly in the Bouzeron AOC, the grape was permitted in Meursault throughout the 19th century and is technically still authorized for use in the Grand Cru of Corton-Charlemagne thanks to a 1930s legal judgement. Bonneau du Matray maintained 1 ha of Aligoté in the Grand Cru until the mid-1970s. In my post Brave New Burgs, I noted that the list of Burgundian producers who seem to have a soft spot for this obscure variety is impressive. Aubert de Villaine (of Domaine de la Romanée-Conti fame), Lalou Bize-Leroy, Marquis d’Angerville and Michel Lafarge, to name a few. Aligoté is even planted in the prime real estate of the Morey-St-Denis Premier Cru Clos des Monts Luisants owned by Domaine Ponsot. Outside of France, Aligoté can be found in Switzerland (≈ 50 acres) and several eastern European countries such as Bulgaria (≈ 2700 acres), Moldova (≈ 39,000 acres), Romania (≈ 18,000 acres), Russia (≈ 1,000 acres) and Ukarine where the grape accounts for 11% of total vineyard area with ≈ 24,000 acres. Aligoté grapes growing in Romania. In the US, California winemaker Jed Steele makes an example in Washington State called Shooting Star sourced from 2 acres of Aligoté planted in the Yakima Valley by the Newhouse family in the 1970s. Josh Jensen of Calera has also experimented with the variety in the high-altitude Mt. Harlan AVA in the Gabilan Mountains of San Benito County, California. Medium plus intensity nose with citrus and fresh cut white flowers. A little grassy. Makes me think of a Sauvignon blanc. The mouthfeel has surprising weight with a medium plus body that helps balance the medium plus acidity. It rounds it out and keeps the wine mouthwatering rather than bitey. Apple flavors appear alongside the citrus (lemon) and fresh floral notes carrying through from the bouquet. The grassiness doesn’t, though, which has my thoughts shifting from comparing it to a Sauvignon blanc to something closer to an unoaked Chardonnay from the Macon-Village. The wine has a lot of character that makes it enjoyable on its own but with its mouthwatering acidity, I thinks it place to shine is with food. At around $15-18, its combination of fruit, acidity and structure gives great flexibility on the table letting it pair with anything from white and shellfish to fatty tuna and salmon as well as vegetarian fare, poultry and pork. Tagged Aligote, Aubert de Villaine, Auxerrois, Bonneau du Matray, Bouzeron, Bulgarian wine, Calera, California wine, Cave de Genouilly, Chardonnay, Clos des Monts Luisants, co-operative, Cocktails, Corton-Charlemagne, Cote Chalonnaise, Cremant de Bourgogne, Domaine de la Romanée-Conti, Domaine Ponsot, Félix Kir, Gamay, Gouais blanc, Guvry, Jancis Robinson, Jed Steele, Josh Jensen, Kir, Lalou Bize-Leroy, Macon-Village, Marquis d’Angerville, Melon de Bourgogne, Meursault, Michel Lafarge, Moldovan wine, Montagny, Morey-St-Denis, Mt. Harlan, Newhouse Vineyards, Pinot, Romanian wine, Rully, Russian wine, Swiss wine, Ukrainian wine, Washington wine, Wine Grapes, Yakima Valley. Going to need more than 60 seconds to geek out with the 2011 Adelsheim Auxerrois. Adelsheim Vineyards started in 1971 when David & Ginny Adelsheim purchased land in what is now the Chehalem Mountains AVA. The next year they established their Quarter Mile Lane vineyard, becoming the first to plant in this northern part of the Willamette Valley. 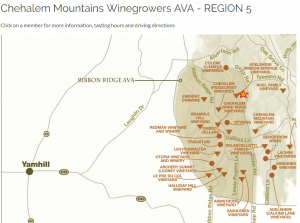 In 1994, Jack and Lynn Loacker joined the Adelsheims as co-owners and began planting their Ribbon Springs Vineyards in the Ribbon Ridge sub-AVA of the Chehalem Mountains. Among the varieties planted in this vineyard are Pinot noir, Pinot gris and a little over 2 acres of the obscure French variety Auxerrois. On all the estate vineyards, Adelsheim practices sustainable viticulture and are certified Salmon Safe and LIVE. 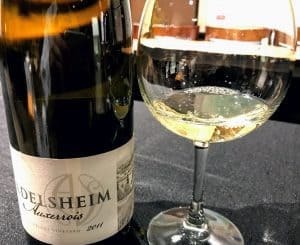 It was announced in December 2017 that Adelsheim’s winemaker David Paige was stepping down with associate winemaker Gina Hennen being promoted to replace him. This makes Hennen only the third head winemaker in Adelsheim’s 40+ year history with Paige following founder David Adelsheim in the position in 2001. She joins vineyard manager Kelli Gregory as one of the few all female winemaker/vineyard manager combos at a major winery. According to Jancis Robinson’s Wine Grapes , Auxerrois is the second most widely planted white grape variety in Alsace after Riesling. While it is not permitted in Alsatian Grand Cru or the dessert wine styles of Vendange Tardive or Sélection de Grains Nobles, it is often used in the production of Crémant d’Alsace and Edelzwicker as well as wines labeled as Klevener and Pinot blanc. In fact, it is a quirk of Alsatian wine laws that a wine can be 100% Auxerrois but labeled as Pinot blanc. The close association with Auxerrois and Pinot blanc is due to the similarities in wine styles produce by both. Typically low in acid but with a rich mouthfeel that has weight and texture. DNA analysis has shown that Auxerrois is a progeny of Pinot and Gouais blanc–making it a sibling of Chardonnay, Aligote, Melon de Bourgogne and Gamay. It is also a half-sibling of Blaufränkisch and Colombard. Outside of Alsace, Auxerrois can be found in the French Moselle, Côtes de Toul, Luxembourg, England and the Netherlands. The grape can also be found in Germany in the Baden, Nahe, Palatinate and Rheinhessen. Outside of Europe, Canada has a few plantings of Auxerrois in Ontario as well as the Okanagan Valley and Vancouver Island wine producing regions of British Columbia. The grape was unexpectedly discovered in South Africa in the 1980s when vines that were thought to be Chardonnay turned out to actually be Auxerrois. This “Chardonnay Scandal” in South African wine history began in the 1970s when growers responding to the rush to plant more Chardonnay tried to get around quarantines and bureaucratic paperwork by turning to smugglers for their vine materials. In addition to getting Auxerrois vines instead of Chardonnay, the smugglers also inadvertently brought in Chenel (a crossing of Chenin blanc and Ugni blanc). In the United States, beyond the Willamette Valley, there are small plantings of Auxerrois in the Lake Erie region of Ohio and the Leelanau Peninsula AVA of Michigan which Appellation America proclaims is the “best home” for the grape. Here the Bel Lago Vineyards & Winery stakes claim to producing the first American Auxerrois in 1998 with Adelsheim’s first bottling coming in 2004. The 2011 Adelsheim Auxerrois has medium plus intensity on the nose which is very surprising for a 6 year old white wine. The aromas are a mix of spiced tree fruit (mostly pear) with some floral herbal elements like bay laurel and tarragon. This wine has the floral fragrance of a fresh herb like bay laurel. 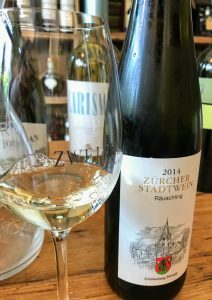 The palate has lively medium plus acidity which is, again, surprising for its age and with Auxerrois typically being considered a “low acid” variety. This fresh acidity brings out citrus notes but for the most part the spiced pear and herbal notes carry through. The medium body has the texture of an unoaked Pinot blanc and Chardonnay which would give me some trouble in a blind tasting. Ultimately it is the floral herbal notes that distinguishes this as a different grape variety. The wine’s age finally catches up to it with the finish that is very short and quickly fades. Still this is an impressive wine that has held up much better than how many domestic white wines (outside of Riesling) usually do. For the most part I try to open up my domestic whites within 3 years of vintage date and start getting really nervous when they get close to 5 years. But this Adelsheim Auxerrois still has a good story to tell and I would be quite interested in trying a newer release. At around $20-25, it does command a premium for an obscure white variety but I think that premium is worth it for a very character driven wine that clearly has aging potential. Tagged Adelsheim, Aligote, Alsatian wines, Appellation America, Auxerrois, Baden, Bel Lago Vineyards & Winery, Blaufränkisch, Canadian wine, Chardonnay, Chehalem Mountains, Chenel, Chenin blanc, Colombard, Côtes de Toul, Crémant d’Alsace, David Adelsheim, David Paige, Dutch wine, Edelzwicker, English wine, Gamay, Gina Hennen, Gouais blanc, Jancis Robinson, Kelli Gregory, Klevener, Lake Erie AVA, Leelanau Peninsula AVA, Luxembourg wine, Melon de Bourgogne, Michigan wine, Moselle, Nahe, Okanagan Valley, Ontario wine, Oregon wine, Palatinate, Pinot blanc, Pinot gris, Pinot noir, Quarter Mile Lane, Rheinhessen, Ribbon Ridge, Ribbon Springs Vineyard, Riesling, South African wine, Sustainable Viticulture, Ugni blanc, Vancouver Island, Willamette Valley. 1.) What is the white grape of Burgundy? If you know enough to be dangerous with a restaurant wine list or in a wine shop, then you probably didn’t hesitate to answer “Chardonnay”. And for the most part, you’d be right. But also a little wrong. Some of the best “intro to wine” texts around like Karen MacNeil’s The Wine Bible, Kevin Zraly’s Windows on the World Wine Course and Madeline Puckette’s Wine Folly will teach you that it is easy to start getting a grasp of Burgundy. Just remember that there is only two grapes–Pinot noir and Chardonnay. It’s a reflex condition to think with Burgundy that if its red, it’s Pinot noir. If it’s white, then Chardonnay. Sure, everything else about Burgundy with it’s 100 appellations and intricate classification system of 23 regional AOCs, 44 villages, 33 Grand Crus, 585 Premier Crus and countless named lieu dits is enough to make your head spin—but it’s easy to nail the grape varieties. Right? I started working on the Wine Scholar Guild‘s Bourgogne Master Level Program lead by Don Kinnan with the desire to get more comfortable with Burgundy. But it wasn’t long before I found myself diving head-first into a rabbit hole that would shake me out of my comfort zone but introduce me to a world far more exciting than the one I began studying. As Allen Meadows, the Burghound, is fond of saying–Burgundy is “the land of exceptions”. It wasn’t long before the first exceptions started blowing in like the north wind across the Yonne. Here, in the land of Chablis, we have the Auxerrois where grapes like Sauvignon blanc run wild in Saint-Bris and Melon de Bourgogne (the grape of Muscadet) in Vézelay. However, the exceptions aren’t limited to obscure villages in the northern backwoods of Burgundy. Instead, in the heart of the Côte-d’Or we have the curious case of Pinot Gouges. In the 1930s, Henri Gouges was inspecting his vineyards in the Nuits-St-Georges premier cru monopole of Clos des Porrets. He noticed that one of his red Pinot noir vines was producing white grape clusters. Intrigued, Gourge took cuttings from the vine and planted them in the NSG premier cru vineyard of La Perrières. 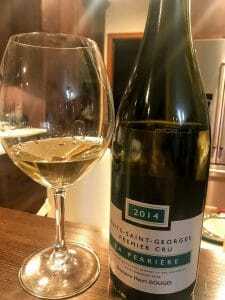 His grandchildren still cultivate this “Pinot blanc” though instead of labeling it as that grape, the Gouges family describe Pinot Gouges as “Pinot noir that lost their color“. Regardless of what the vines are called–the fact still remains that in the middle of Chardonnay land, we have an exciting and distinctively non-Chardonnay white Burgundy being produced from a premier cru vineyard. My notes on the Pinot Gouges “The color looks like a regular white Burg with some oak influence. On the nose, tree fruits of apples and pears but there is a lot of spice here–not oak spice but rather exotic spices. Now while it is technically illegal to plant Pinot blanc in most of the Côte d’Or (though, again, there are exceptions), several producers still tend to legacy vines. Inspired by bottles of Pinot blanc from the 1960s that aged remarkably well, Domaine Méo-Camuzet sourced Pinot blanc vines from Alsace to plant in their Clos St Philibert vineyard in Flagey-Echézeaux. The wine produced from these vines is blended with Chardonnay and classified under Bourgogne Hautes-Côtes de Nuits AOC (as opposed to a village level Vosne-Romanée). Then there is the case of Pinot Beurot (Pinot gris), the sneaky pink-skinned mutation of Pinot noir that can sometimes find itself interspersed among Pinot noir vines. Not content to just be an interloper, the grape plays a starring role in wines like Domaine Comte Senard Aloxe-Corton blanc that is 100% Pinot Beurot as well Domaine Lucien Boillot et Fils Les Grands Poisots sourced from a parcel of Pinot Beurot first planted in the Volnay vineyard in 1958. Not legally permitted to be called a Volnay, the wine is labeled under the basic regional Bourgogne appellation. Likewise, in the famed white wine vineyards of Puligny-Montrachet, Domaine Guillemard-Clerc has a little less than an acre of Pinot Beurot which goes into it regional Bourgogne blanc. In the Bourgogne Hautes-Côtes de Beaune AOC, Domaine Guillemard-Pothier à Meloisey also produces a Pinot Beurot. And this is not even getting into the more widely known exception of Aligoté which has its own AOC and has earned the affection of a literal “Who’s Who” of legendary Burgundy producers like Aubert de Villaine, Lalou Bize-Leroy, Marquis d’Angerville and Michel Lafarge. Domaine Ponsot takes the love affair a step further to make premier cru level Aligoté in the Morey-St-Denis monopole of Clos des Monts Luisants. The faith in these producers to devote precious terroir to this obscure grape is a testament that there is something interesting about Aligoté that makes it stand out in the Chardonnay-saturated world of Burgundy. 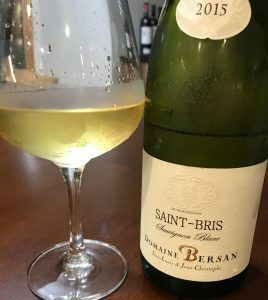 It’s high acidity enchants with racy and mouthwatering appeal that is balanced by a weighty mid-palate that gives a sense of lemon custard richness which can charm even the most traditional white Burgundy lover. There is no doubt that Burgundy is home to some of the greatest expressions of Chardonnay. However, for the wine geeks conditioned to merely think White Burgundy=Chardonnay, there is brave new world of exciting white Burgs waiting to be discovered. Tagged Aligote, Allen Meadows, Aloxe-Corton, Aubert de Villaine, Auxerrois, Bourgogne Hautes-Côtes de Beaune, Bourgogne Hautes-Côtes de Nuits, Bourgogne Master Program, Bouzeron, Burghound, Cave de Genouilly, Chardonnay, Domaine Comte Senard, Domaine Guillemard-Clerc, Domaine Guillemard-Pothier à Meloisey, Domaine Lucien Boillot et Fils, Domaine Ponsot, Don Kinnan, Henri Gouges, Karen MacNeil, Kevin Zraly, Lalou Bize-Leroy, Madeline Puckette, Marquis d’Angerville, Melon de Bourgogne, Méo-Camuzet, Michel Lafarge, Morey-St-Denis, Nuits-St-George, Pinot Beurot, Pinot blanc, Pinot gouge, Pinot gris, Pinot noir, Puligny-Montrachet, Saint-Bris, Sauvignon blanc, Vézelay, Volnay, Windows on the World, Wine Bible, Wine Folly, Wine Scholar Guild, Yonne.